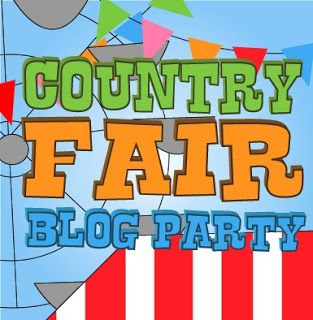 It's another great blog link up starting! This is a month long party so come on and join us! I love all the great new ways to use products I already have at home! A must read. 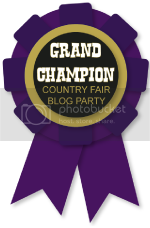 Congratulations, Rothseri and feel free to grab a grand champion ribbon button to put on your post or blog. I will also being sharing your post on my social media pages as well as Pintersest! It's a great way to break the rut of dinner out and a movie.. or worse a trip to Costco and Home Depot! 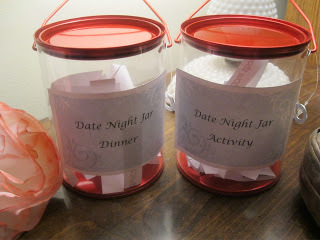 These date night jars work together. One is filled with ideas for dinner. 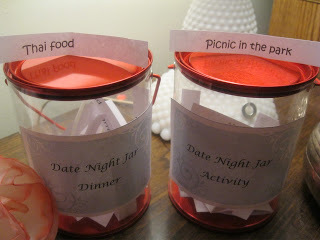 The other is filled with ideas for an activity to do together. The day you go out, each of you pick a jar and draw one thing. What ever dinner and activity you draw out is what you'll be doing together that night. like the photo below shows as an example: Thai Food and a picnic in the park. Now... Lets go started with the party!!!! Jan, thanks for hosting. I'm going to check out more of these links later, but right now I'm starting with the spring cleaning helpful hints! I wanted to leave a comment on Vickie's spring cleaning post, but apparently you must be signed up with Google+ in order to leave a comment. I'm not on Google+ or Facebook and so sometimes cannot post comments.